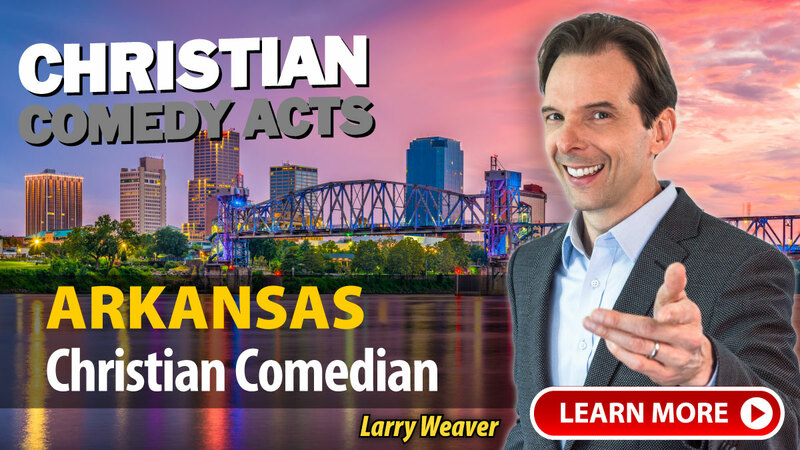 Christian Comedy Acts helps you find local Christian comedians, Christian speakers, Christian magicians, Christian ventriloquists, and top clean comedians in the Arkansas area. Find Christian entertainment for your church fundraiser, banquet, outreach or ministry event today. "I am happy to recommend Lyndy as an entertainer for your campus. He came to our university to perform for our incoming freshmen during their move-in program this year. He filled the house, was funny, had a positive message, cut my necktie in half, and left the audience with smiles on their faces. It was just what the doctor ordered for our new students." A few of the towns these nationally-touring Christian Comedians have performed in include: Brinkley, Fort Smith, Hot Springs, Hot Springs Village, Jonesboro, Little Rock, Magnolia, Searcy, Stuttgart, AR and others.